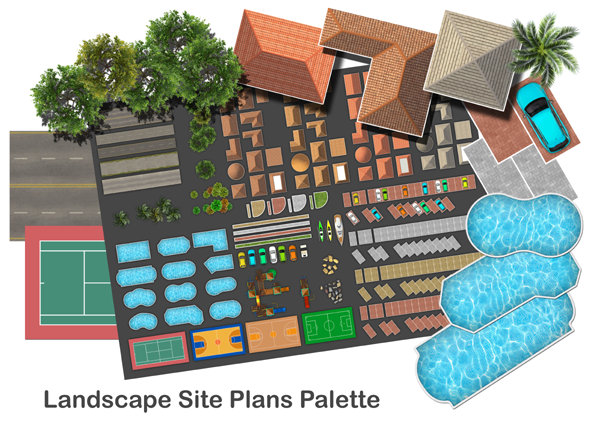 Turn Your Landscape Design Graphics Into Art. 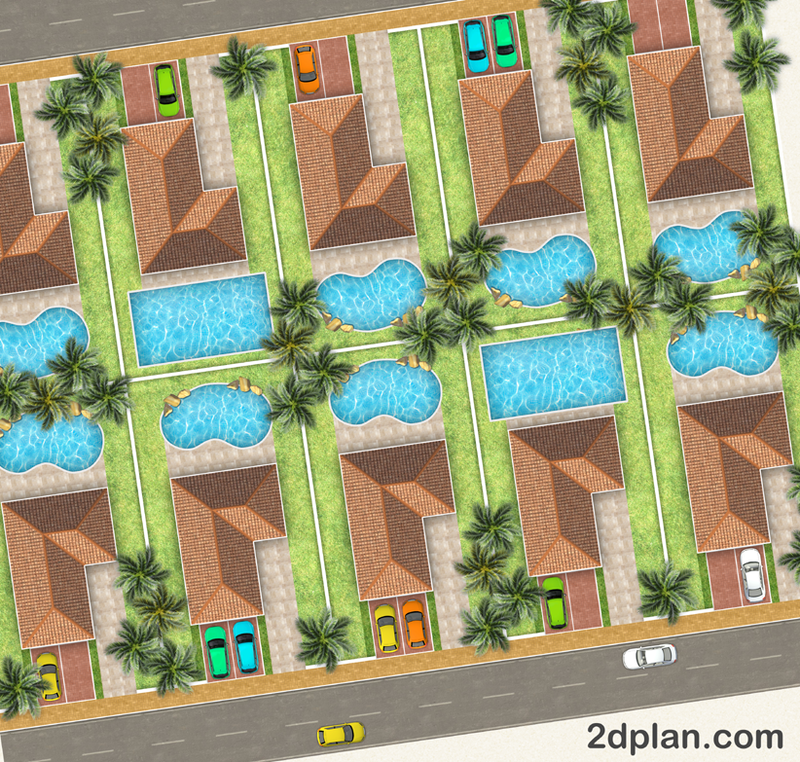 Swimming Pools Shapes, Rocks, Cars and playground sets. 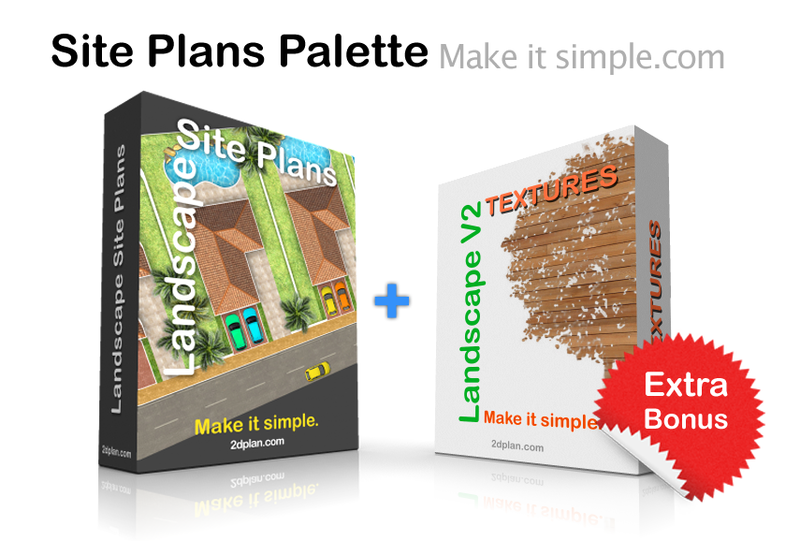 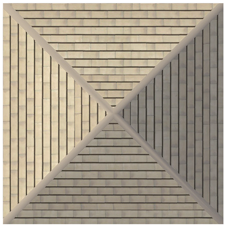 Express your landscape site plans with high quality landscape texture maps.